The Tarraco is expected to be most popular with a 2.0 litre diesel engine. SEAT's new big SUV is taking on the likes of Hyundai's Santa Fe and Nissan's X-Trail with the offer of higher levels of standard equipment. But you'll pay extra for a diesel version. When a car company sets out to draw new customers to a new model it needs a selling point. In the case of SEAT, which is about to put all its chips on the table with a new large SUV, the strategy involves looking at what the most popular large SUV's have to offer and then trying to beat them in terms of price and equipment that comes as standard. 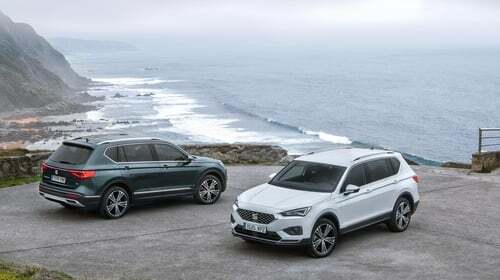 So the new Tarraco - designed to take on all comers in the bigger SUV sector - comes in cheaper than cars like the Santa Fe, the X-Trail and even its own Volkswagen stablemate, the Tiguan Allspace. It also comes with features such as an 8" infotainment screen, three-zone climate control that allows those in the rear to chose their own comfort levels and a rear camera. The car also has full ED lights as standard and also the VW family's digital cockpit. You will also get cruise control, lane keeping assistance and a sliding second row of seats. With a starting price of €34,700 it shades cars like the Santa Fe and the X-Trail but there is a premium for the diesel, even though diesel is expected to account for 65 per cent of sales. So, you will have to add a premium of €2,550 for the 2.0 litre diesel variant and you will also have to pay extra for the extra two seats at the rear to make it a seven-seater. That's an extra €1,000. Most bigger SUV's are diesel - they would not make a great deal of sense for those who need to use them for things like pulling horseboxes as petrols. There is'nt an entry-level version of the car, just an SE and an Xcellence version. Along with the standard equipment, the Xcellence gets other features such as 19 inch wheels, adaptive cruise control, stability control, park assist and keyless entry. There are three engine variants - the entry level being the 1.5 petrol turbo and supercharged unit with 150 horsepower or a 2.0 litre petrol producing 190 horse power. The diesel 2.0 litre produces 150 horse power. All three are being used in various models from the VW group and the 2.0 litre diesel is the staple of the group's diesel offering. It is also used by another VW Group member, Skoda, for its large Kodiaq SUV that starts at €36,095. The Kodiaq 1.4 petrol version starts at €35,195. There is a four wheel driver version available and it comes with VW's impressive DSG automatic gearbox and that will bring the Tarraco's price up another €4,000. So a four wheel drive version of the Tarraco with the two extra seats in the rear will cost you €42,650 by my calculations. The Tarraco has one major advantage when it comes to boot space, with a very impressive 760 litres capacity - that's big and the space gets even bigger with the rear seats folded down. We'll have a full review soon.